Every environment is different, whether it’s inside or out. 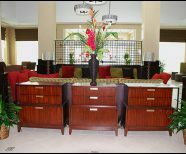 Our plant specialists have a passion for arranging and displaying living plants in unique ways, utilizing tasteful floral designs, to enhance your setting’s natural ambiance. 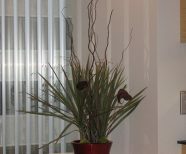 Of course, not every indoor setting is suitable for living plants. Not to worry. 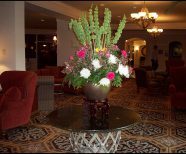 We also create and customize low-maintenance "preserved plants” in creative arrangements that appear natural, and always tasteful. 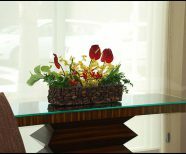 View our floral & preserved arrangement showcase below. 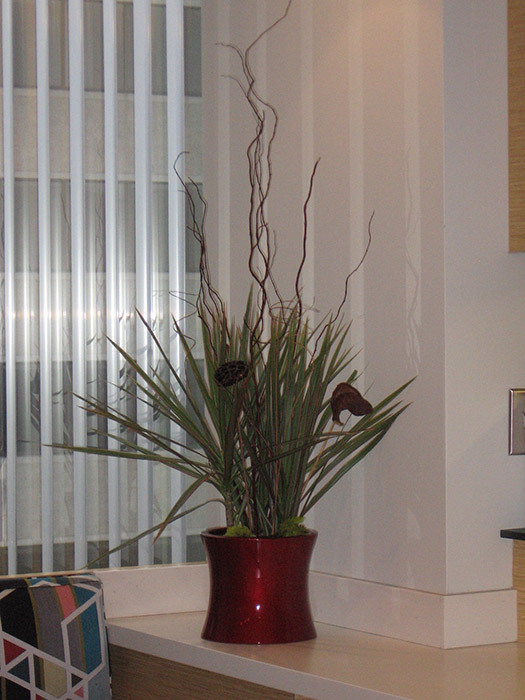 Floral arrangements from Interior Plantscapes lend a simple elegance and classic sophistication to your space. 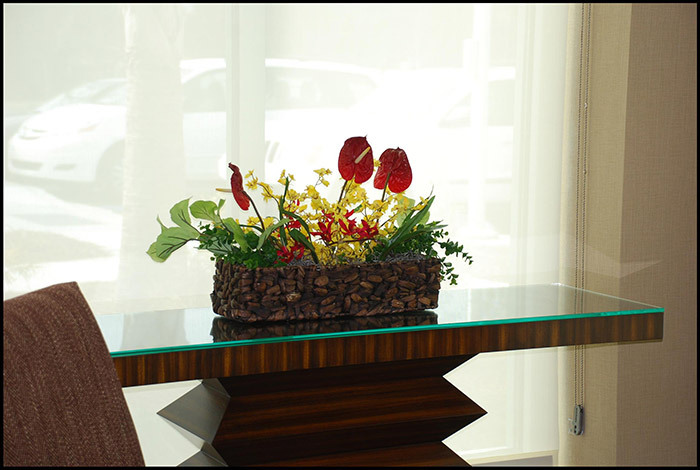 We design arrangements that are a perfect match for your longer tables. 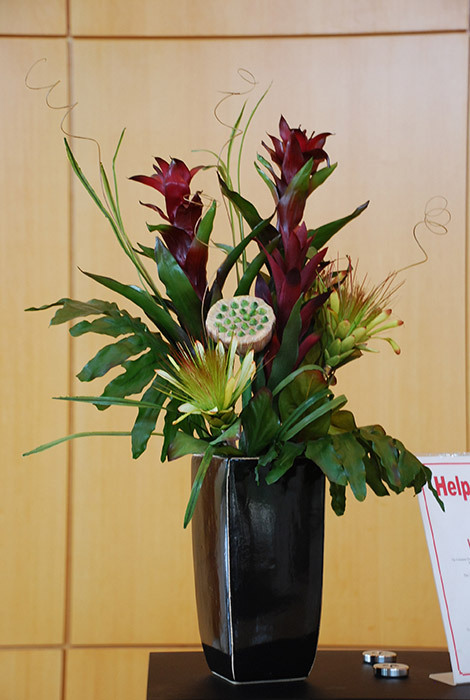 Perfectly styled floral displays uplift your workspace or special event. 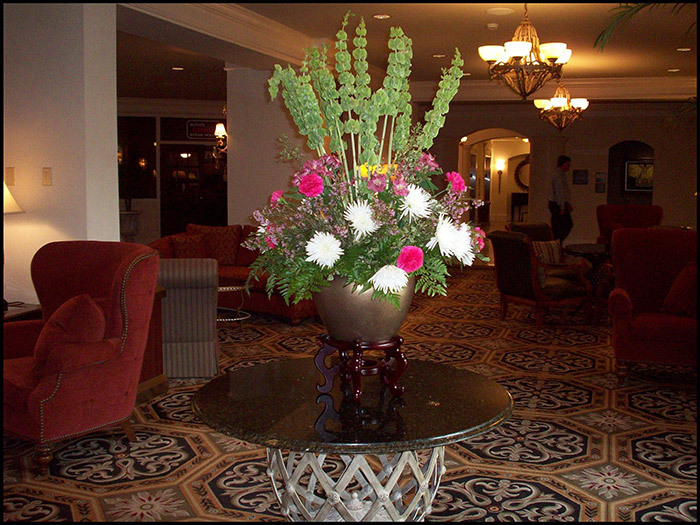 A large arrangement of fresh, dried or faux flowers can be striking next to a doorway or other architectural element. 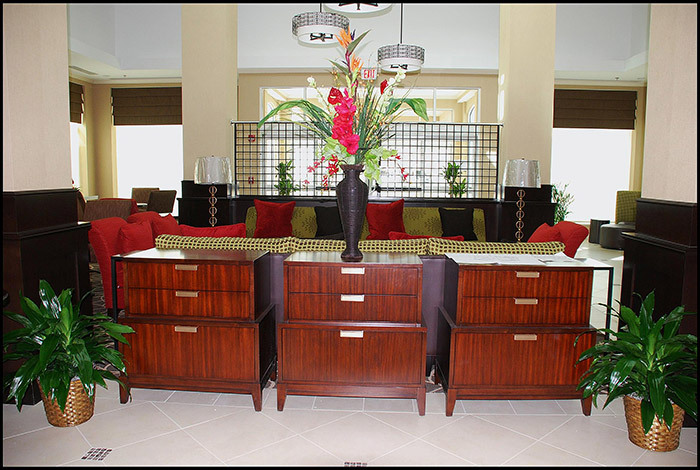 A tall entryway arrangement at a corporate event marks the occasion and makes it celebratory. 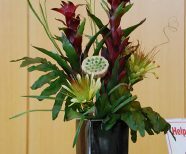 Our talented staff can make any event memorable with unique floral designs.